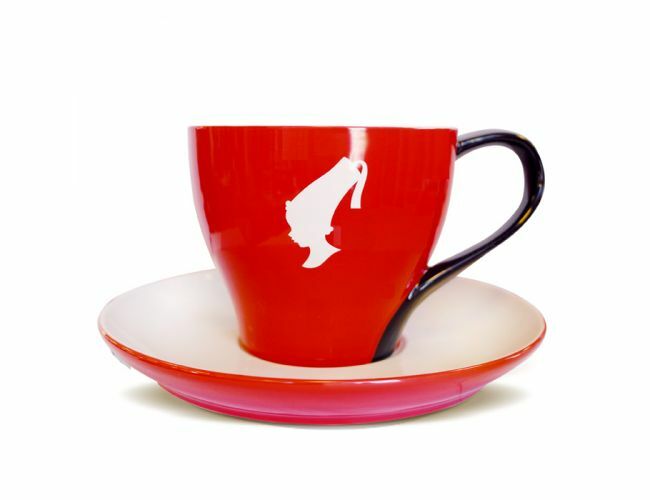 This giant jumbo cup from Julius Meinl impresses everybody. It is perfect as a chic accessory on your coffee table, for serving sugar bags, coffee capsules or as a decorative cup for your coffee plant. This Matteo Thun design cup is made of ceramic and is supplemented by a huge saucer. The cup has a whole at the bottom and is therefore not suitable for serving coffee drinks.